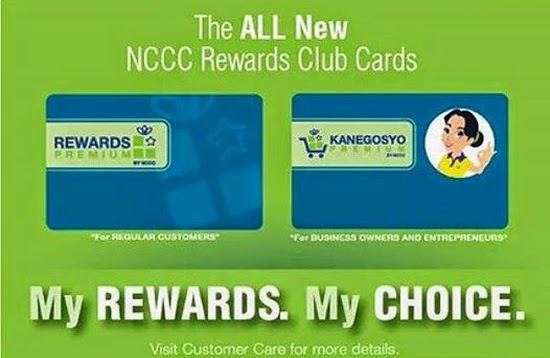 Good news to all NCCC Rewards Club members! Other than the exclusive perks you’re all enjoying as a card holder, you are also entitled to avail of the P1.00 a month Personal Accident Insurance Plan. NCCC Rewards has partnered with Federal Phoenix, one of the country’s leading property-casualty and general insurance provider to offer NCCC Rewards Club members exclusive and very affordable insurance policy. For only P24.00, a member can now be insured and can avail of as much as P70,000 worth of security that covers – accidental death, disablement, unprovoked murder and assault, burial assistance and cash fire assistance. This policy covers a member for two years and can be renewed upon expiry. The insurance policy will remain valid, even if your rewards card expires. 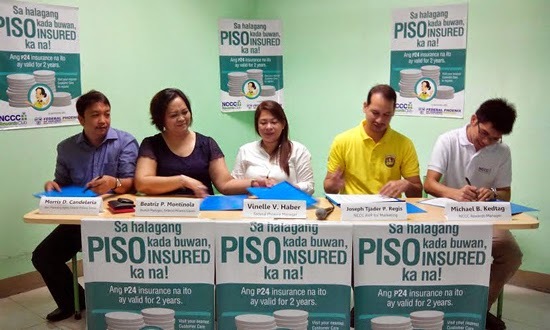 Beatriz P. Montinola, Branch Manager of Federal Phoenix Davao assured the growing 200,000 NCCC Rewards members of the swift release of their claims in case accidents/deaths happen provided all requirements are complied. Current card holders can now visit the nearest NCCC customer service counters to fill up particulars and to know the details of the policy to avail. New member applicants can now avail of the insurance on top of the new card fee. NCCC Rewards Club members enjoy exclusive discount, freebies, collectibles, exclusive NCCC promos. Card holders can also avail discounts on partner establishments like JTC Group of Companies, Humberto’s Hotel, Dencio’s Kamayan, Bio Essence and many more. Get insured for only P1.00 kada buwan, get your NCCC Rewards Card today!